The good, the bad & everything else: What did you do at school today? 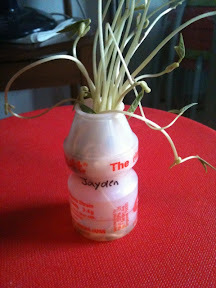 Jayden brought this home from school. The teachers even provided a photo of him putting the beans into the bottle. I need to get that gadget!